Product code: 518 Categories: Sold Items, Sold Rolex Watches. This is the Rolex Oyster Submariner is stainless steel. With the popular black dial, this Rolex dates from 2005 and comes complete with box and papers. With the Oyster flip-lock bracelet making this a handsome yet rugged watch, it is easy to see why both young and old enjoy this model. 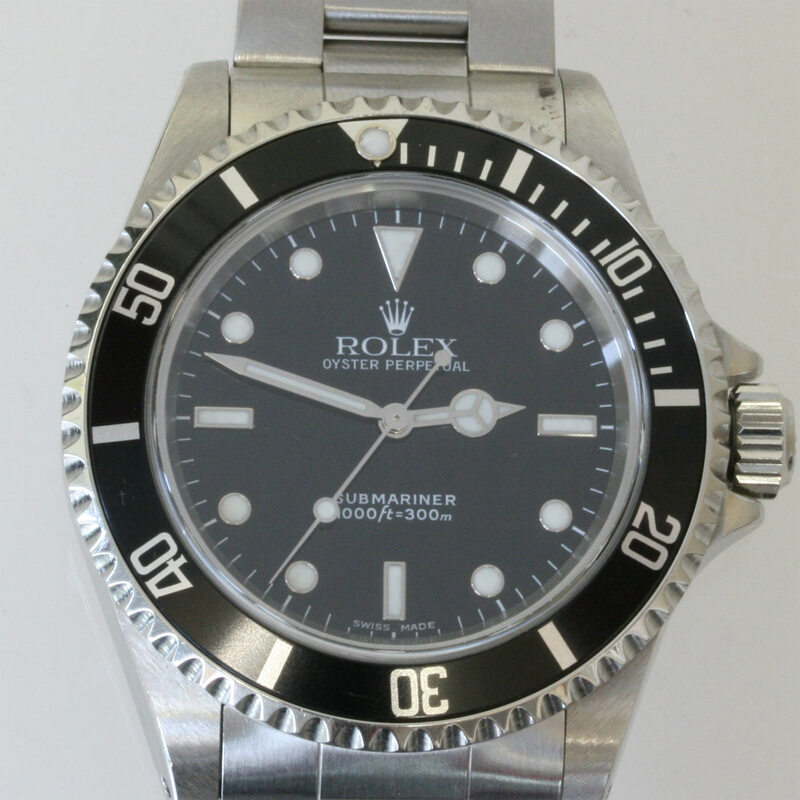 In wonderful condition, this is a popular and sought after Rolex.